Such a wonderful goal - one that you fulfill with your blog, Brenda. What a delightful thought....and I also echo Lorrie's words. You achieve this all the time! 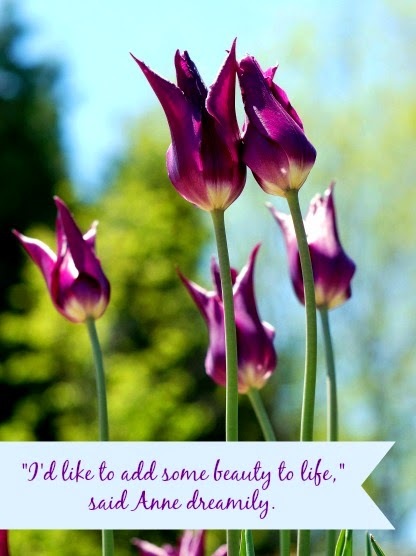 What a great quotation from Anne! Something to ponder, for sure! You add beauty to life, my life! Thank you for being so thoughtful and caring. You truly are a friend to me. I hope, this wonderful picture made smile everybody who saw it! There should be more and more such beautiful pictures on the web-pages. It will make people kinder and probably there will be less evil in our world. And of course beautiful stories and essays!!! If you are not sure but your desire is great, you can use this service http://proofreading-services.org/professional.php to make your unique and beautiful essay. Let's make our world better!